We are not sure if you are aware, but the stock market has been taking a beating—whom are we kidding, of course you are aware. While it appears we may be headed for a bear market here in the good old USA, there are some stocks that are performing better than others. There are also some casino stocks that have appeared to rebound from a slide earlier in the year. Therefore, which casino stocks should you think about adding to your portfolio? Look at the following stocks, which are noteworthy, either because they are ripe for purchase, or because they have outperformed other casino stocks in the field. In other words, there may yet be some room to add stocks into your portfolio. Penn National Gaming has been the best bet for casino stocks this year. While the company began as a holding company for racetracks, it has been rapidly expanding its share into other gaming markets. Penn National has focused on smaller markets and markets that are not in Vegas. This has allowed the company to diversify quietly. Penn National now owns 40 properties primarily in the Midwest, South, and Eastern Seaboard. Like many of the casino stocks, Penn’s stock price has fallen, however, there are two reasons this stock has been productive. First, Penn National has no interests in Macau, so the Asian slowdown has not had a direct effect on it. Second, Penn National has been able to take advantage of the legalization of sports gambling in its home state, and has begun to offer sportsbooks with partnerships where available. This will continue to be a growth industry for the company. Get in now, before the stock rises. This pick may seem a little strange, but when you know the backstory, it makes more sense. 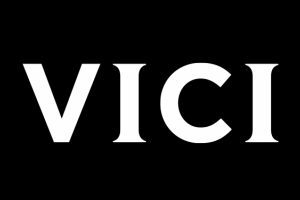 Caesars Entertainment went into bankruptcy protection in 2015, and VICI Properties is a spinoff of some of the casino property from Caesars Entertainment. It operates as a real estate investment trust (REIT) that initially began as the holding of 19 casinos that were originally Caesars Properties. VICI properties (taken from veni, vidi, vici, attributed to Julius Caesar) lease those casino properties to Caesars and have been diversifying into golf courses as well. This stock has had a nice growth year as well, and investors seem to like it because it pays out a larger-than-average amount of its profits in dividends. Like Penn Gaming, VICI Properties is poised to continue to grow, especially in smaller, regional markets where several of its casino properties are located. 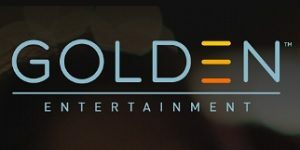 Golden Entertainment has been a favorite among investors recently because of its diversity. While some of the other casino companies build large and stay large, Golden Entertainment has a variety of casino properties. Their largest is the luxury casino Stratosphere in Las Vegas, which is a five-star property. However, the company also owns several smaller casinos and budget casinos, such as Arizona Charlie’s in Las Vegas. It also owns smaller slot routes in Reno and Henderson, Nevada. Because the company has many different types of casinos, it is easier to withstand difficulties in the economy, especially since its budget casinos have become very popular. While this casino stock is small now, economists predict that it will continue to grow rapidly, because of its diversity and continued plans for expansion. If you buy this stock while it is still on the ground floor, you may be able to turn a nice profit for yourself. 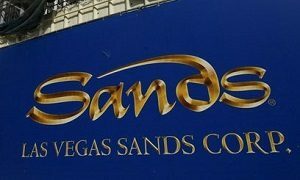 While the Sands’ stock has taken a beating of late, the trend for the stock appears to be headed up for a couple of reasons. First, the company has a significant portion of its casino investment overseas, and Macau has taken a beating. However, the Macau market is showing signs of moving upward. In addition, the company finally cut through all of the paperwork for its new development in Macau, which made investors more optimistic the new casino resort would be completed close to schedule. In addition, the Sands property in Singapore is continuing to surge in profitability. This is good news, as projections indicate the Singapore economy is growing at a rate faster than China’s. This new Sands property is perfectly positioned to take advantage of the booming market in Singapore. All told, the Sands should see a profitable 2019. The MGM Group is also showing strong movement as 2018 ended. The casino has surged forward, especially with its new casino openings along the Eastern Seaboard, close to Washington D.C., which many investors see as an untapped market. In addition, the company has begun a program to trim some of the fat from its casinos. While this may include some instability in the short term, it will make the company leaner in the long run, and easier to manage. This is going to be especially important moving forward, because perhaps the most promising feature of MGM is in sports gaming. MGM has made a huge play in the sports gambling market. The group has gotten sponsorships with many of the major leagues in the United States, to get exclusive rates to data for its sportsbooks. 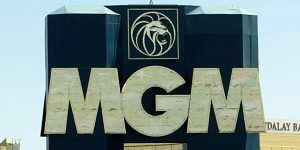 MGM is poised to become one of the largest players on the sports gambling scene. This is important, because economists think that sports gambling are only going to grow larger as more and more states legalize it. Currently, sportsbooks are legal in seven states: Nevada, New Jersey, Rhode Island, Delaware, Pennsylvania, West Virginia, and Mississippi. However, several other states are considering gambling on their legislative agendas beginning this month. It is expected that more than 20 states will have legalized sports gambling by 2020. This puts MGM in an extremely good position to take advantage of the sports gambling market nationwide. 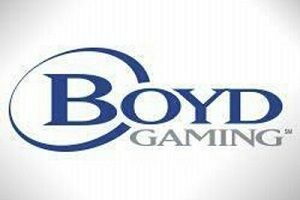 Like many of the stocks we have talked about, Boyd Gaming is poised to continue to expand and bring profits to its investors, primarily focusing on smaller, regional markets throughout the Midwest and MidSouth. In fact, it was when Boyd Gaming got rid of several of the international properties that it became more profitable. In addition, the company has racinos as well, which have become increasingly popular in regional markets. Another reason Boyd Gaming is poised to prosper is its relationship with MGM, which will hopefully enable the casino company to offer sportsbooks in their casinos in states where it is legal. Although it may seem that casino stocks are a long shot, especially in today’s volatile stock market, the opposite may be true. Casino stocks, especially those stocks that are diverse are a good bet. The diversity of the casino companies allows for stability in an era of uncertainty and instability. All of the stocks discussed here would be a good stock to add to your portfolio, especially if you are looking for growth stocks. While growth stocks add some aggressiveness to your investments, they can also pay off in a big way. If the company has diverse investments, with ties to sports gaming, it is more likely to be solid and successful in the years to come. So what are you waiting for? Take a chance on some gambling stocks. While all stock market transactions are a risk, there is also the possibility of great reward.